Atul Gawande is author of three bestselling books: Complications, a finalist for the National Book Award; Better, selected by Amazon.com as one of the ten best books of 2007; and The Checklist Manifesto. 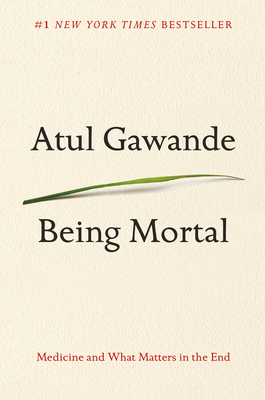 His latest book is Being Mortal: Medicine and What Matters in the End. He is also a surgeon at Brigham and Women’s Hospital in Boston, a staff writer for The New Yorker, and a professor at Harvard Medical School and the Harvard School of Public Health. He has won the Lewis Thomas Prize for Writing about Science, a MacArthur Fellowship, and two National Magazine Awards. In his work in public health, he is Executive Director of Ariadne Labs, a joint center for health systems innovation, and chairman of Lifebox, a nonprofit organization making surgery safer globally. He and his wife have three children and live in Newton, Massachusetts.